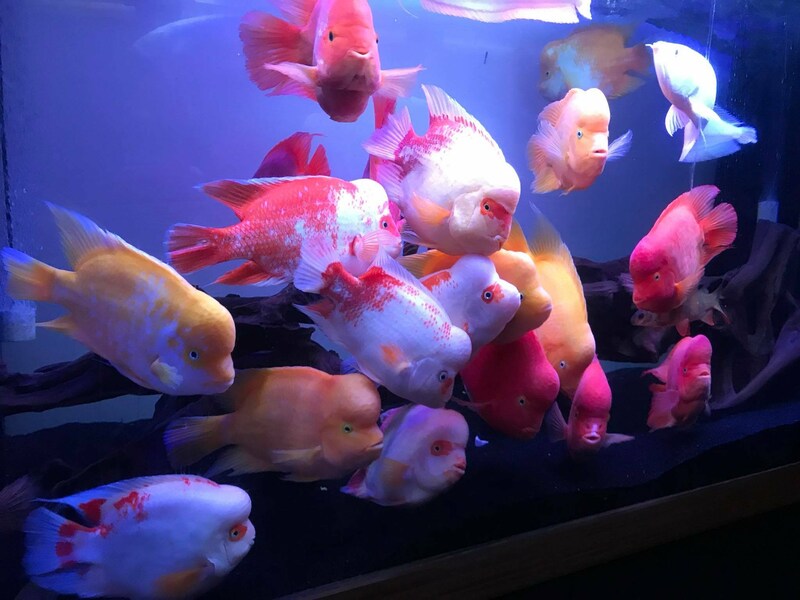 Black Diamond Big Dots,6" sold as pair "male&female"
6" Sold as pair "male&female"
At Flowerhorn4jersey, we offer high quality imported Flowerhorns from Thailand and Vietnam. All the fish are hand picked from local famous farms. If you're interested in buying fish from us, you're guaranteed for the best quality. Our prices are more affordable compared to Chinatown NYC , Philly and local fish stores. Our specialties are Vietnam Tan King, Red Monkey and Thailand Datnoid. The shop is conveniently located in central Jersey. From Vietnam: Currently. we are only dealing with Vietnam market. We have monthly shipment from Vietnam and being packed and shipped by LuckyVn. $95 per 7" to 12"
Live fish is shipped through FedEx Express with a flat fee of $75 to most states. Cheaper shipping can be ship by USPS. Please providing your zip code for Postal Office shipping. We are the main JBL seller in the State. JBL nova is one of the best Flowerhorn food on the market. Growing the hump of the fish. Proving a better immune system. To know more about the product, please click on JBL photos, where you can see all the results from all my buyers. Additional to that, we're also doing a JBL Photo contest on Facebook monthly. Each month will come with a different prize. For more info, please click on this link below.